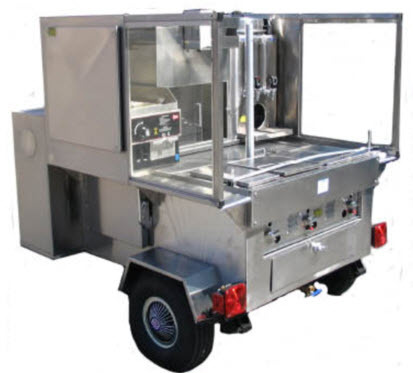 Our Stainless Steel Highway Rated Hot Dog Cart Model T-340 from Worksman Cycles and 800 Buy Cart is designed from the ground up for daily moving. Their wide, stable stance and easy-to-use hitches get you going to your location and setting up is easy and safe. 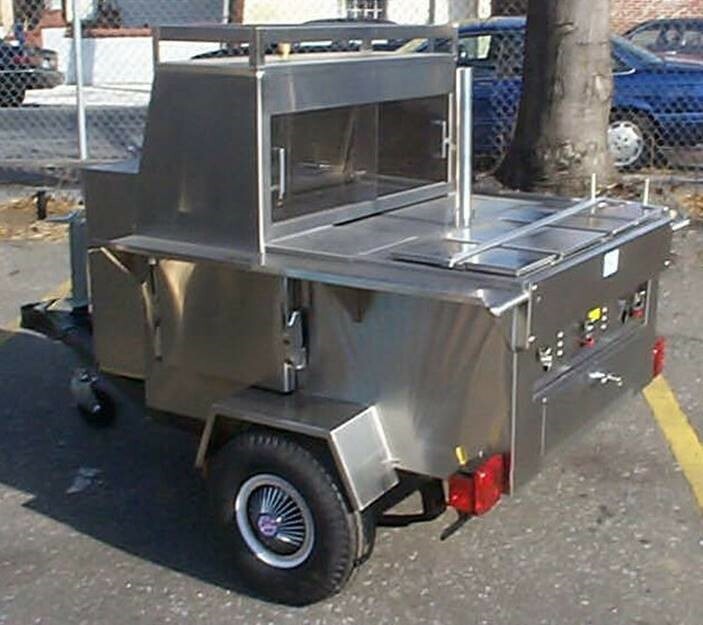 Our legacy also includes the Admar line of Hot Dog Carts, the very first manufacturer of all Stainless Steel Carts. 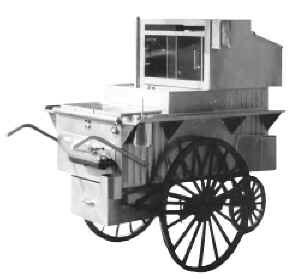 Admar Carts appeared on almost every NYC street corner for several decades. Traditional lightweight frame-less interlock body. Type 304 non-magnetic restaurant grade Stainless steel will never oxidize. Insulated Stainless Steel soda box and extra cold storage compartment. Thermally isolated cooking area with 3 safety valve LP gas burners with igniters. One 20 lb. gas tank in locking Stainless Steel enclosure. All pans have locking travel bar. Divider to separate cooked and non-cooked hot dogs. Steamer bottom for warming rolls. NYC Style mustard pot with built-in Stainless Steel wand. Angled door Stainless Steel showcase with latches. Locking drawer beneath cooking area. Holders: napkin, paper bag, straw, and wax paper. Optional continuous hot and cold running water system with one or two sinks. Overall: 84″ x 49″ x 55″ Weight: 450 lbs. 300 Hot Dogs and buns. 250 cans of soda. Model T340 with optional sink package, coffee urn and wood veneer.